With an endless supply of beaches, trendy shopping malls, and a variety of both cultural and historic sites, Miami offers a wealth of attractions. 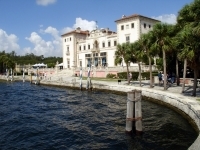 Antique lovers should visit the Vizcaya Villa, built in the Italian Renaissance style in 1916, as well as the Monastery of St. Bernard de Clairvaux, the oldest building in the Western Hemisphere. A romantic attraction is the Coral Castle, which was hand-carved by a man as a homage to his unrequited love. Famous for its marine life, visitors to Miami's Seaquarium interact with all kinds of aquatic creatures. Also worth exploring is Jungle Island, which has an exciting array of wildlife, from parrots, to crocodiles and penguins. At the Miami Science Museum, sightseers could run into a few aliens, as well as view collections of rare natural history specimens. 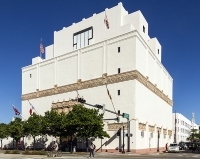 Visit the South Miami-Dade Cultural Center for exemplary performances of music, theatre, and dance, and the Wolfsonian Museum to view a collection of art and design, depicting popular culture from 1885 to 1945. 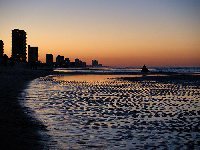 Almost constant sightseeing is made possible by sunny skies and ample public transport, but avoid hurricane season (June to November) and the crowds of spring break in March. Travellers should save money and avoid queues with the Go Miami Card, to sightsee throughout the city.